Hello everyone! One of my biggest joys this past year has been doing more teaching. One of the chief reasons I got into academia was to teach – I’ve found that there’s no better way to learn than to share your knowledge with others. In the autumn I taught Intro to Creative Writing at Strathclyde, where the syllabus mostly focused on prose. Since I’ve primarily written and researched poetry for the past several years, it was wonderful for me to revisit the basics of prose writing and work with my students to develop their skills. This semester I will be teaching ‘Writing Real Life,’ a third-year course focused on creative non-fiction. I’m really enjoying prepping for the course by reading as many essays, profiles, and memoirs as possible! It’s particularly interesting for me as a (usually) confessional spoken word artist to consider the fine line between truth and fiction in well-crafted creative ‘non-fiction,’ particularly considering the haziness of memory. In addition to teaching at Strathclyde, I’m also excited to be delivering several one-off workshops that will be open to the public. Although these workshops will differ slightly, each is focused on getting folks started composing and performing spoken word. Details are below; would be wonderful to see you there! First, I’m delighted to be giving a workshop as part of this year’s Audacious Women Festival in Edinburgh! The festival’s motto is ‘Do what you always wish you dared,’ and the workshops offered encourage women to get out of their comfort zones and challenge themselves to boldly do what they never thought they could. I’ll be delivering a two-hour spoken word workshop specifically for women on Saturday, 25th Feb. at the Scottish Storytelling Centre. 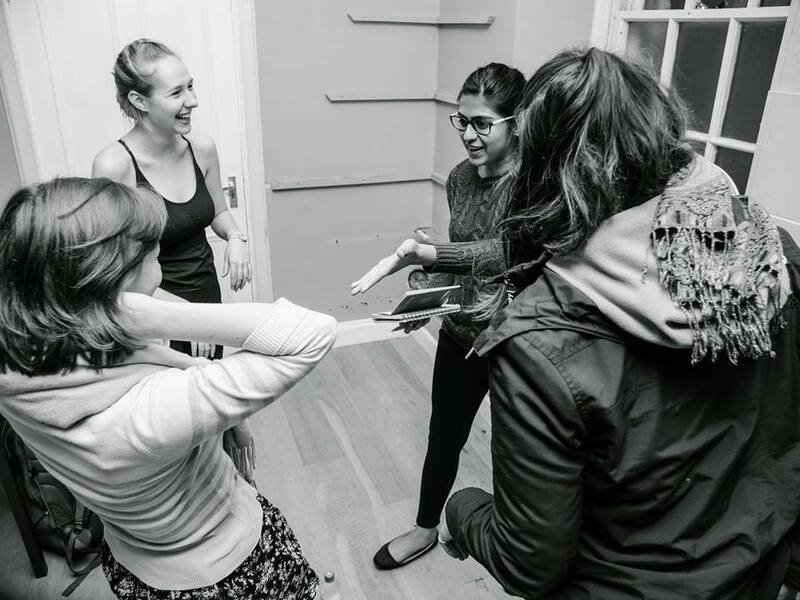 This workshop is for women of all ages and experience levels, and will give you the tools you need to begin writing and performing audaciously. Tickets available here. Second, I am incredibly honoured and excited to be delivering a workshop at this year’s StAnza festival in St. Andrews! My fellow Loud Poet Kevin Mclean and I will be giving a two-and-a-half hour workshop on Sunday, 5th March to anyone interested in composing and performing spoken word. The workshop is FREE and open to all. Later that day we’re holding a Loud Poets showcase in the same space, so why not make it a spoken word afternoon? Details on the StAnza website. Finally, in May I’m very pleased to be giving a workshop for the new social enterprise The Curious Thing in Stirling! This project provides classes for adults looking to learn new skills and re-invests all profit back into the community to create social change. I’ll be giving a two-hour workshop on 18th May at the Stirling Smith Gallery for adults interested in writing and performing their own poetry. Tickets are now available via this link.